A clap of thunder, a jolting strike of lighting or a vicious gust of wind—any of these can cause storm damaged trees, debris and disruption. While we’re lucky enough to stay indoors, our trees are forced to weather the storm. You’ve done your best to protect them from storm damage, but what if they still fall victim to Mother Nature? 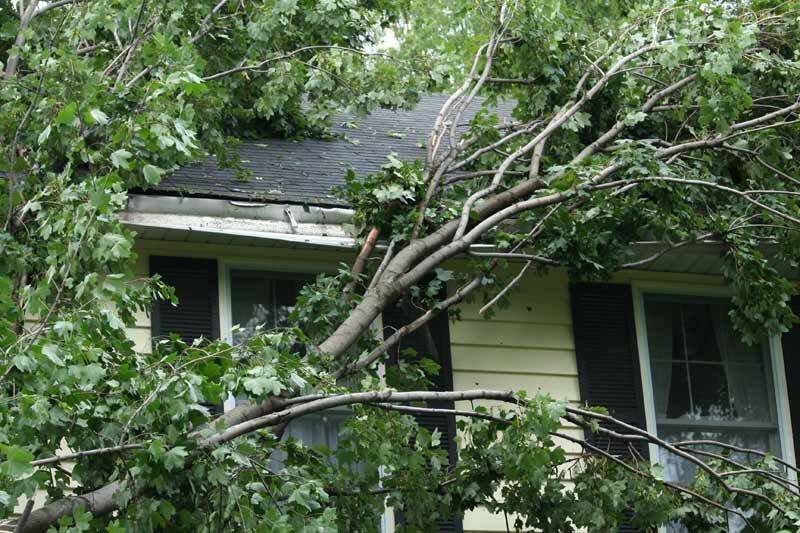 If you notice storm damaged trees with large hanging branches or broken power lines, call your local tree service to assess the situation immediately. That limb could fall at any moment, and broken power lines could still be live and dangerous. 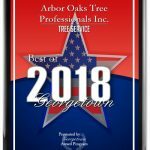 If you spot any of the other signs, use your discretion, and know that a certified arborist can help with every step of the process. They can provide tree cleanup, repair damaged spots by pruning and determine if you need tree removal service. Pruning small, broken branches to prevent further damage and pest infestation. Do not attempt to prune large branches or branches that high from the ground. Smooth the bark over any small splits that looks like a gash. If it’s still connected to an unharmed branch, this will help the healing process. For more sever splits and more intensive pruning, be sure to call your local tree company. Taking matters into your own hands can make storm damaged trees worse and even require tree removal services that could’ve been prevented. 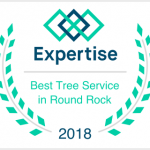 An arborist can give you definite answers and provide next steps after seeing the tree in person.